john carpenter | What's Up Mann? John Carpenter screened his newest film, The Ward, this week at TIFF and early reports suggest that it is good. THANK GOD! From 1974-1988, John Carpenter had one of the most amazing streaks in the history of filmmaking (he also wrote a lot of the music for his films, including the Halloween theme). 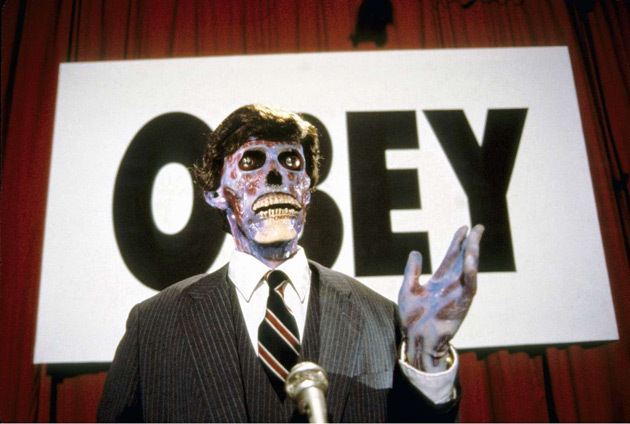 The 22 years that followed They Live weren’t very kind to the sci-fi/horror master. Sincerely hope The Ward is able to deliver.